Auto sector firms, Volkswagen, Mahindra and Bajaj have warned that they might be forced to move out their investments from the state of Maharashtra due to issues relating to Value Added Tax or sales tax at source. The state government would loose Rs 4,000 crores of new investments from Mahindra alone, if the company decides to abandon the state over taxation disagreements with the authorities. Indian auto major, Bajaj Auto has reported an increase of 19 per cent in third quarter of the year backed by an increase in sales and improved export figures. The country's second-biggest twowheeler maker’s net profit rose to Rs 795 crore in the quarter till December compared to Rs 667 crore in the same period of the previous year. The company’s total sales volumes rose 14 per cent to 10.75 lakh units compared to 9.46 lakh units. Indian auto major, Bajaj is planning to position its newly launched RE60 ultra affordable car as an alternative to auto rickshaws in the country and will not promote it to the average consumers. It was believed that the company’s offering will be a competitor to the Tata Nano, which is claimed to be the world’s cheapest car. The RE60 offers features such as seat belts, doors and a hard top, which are not available on current rickshaw models. 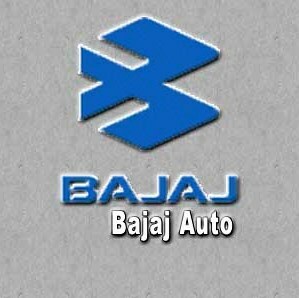 Bajaj Auto announced on Friday that it has recorded an increase of 25 per cent in sales during the month of November. The country's second largest two-wheeler maker sold 3,74,477 units in the month compared to ,99,231 units in the same month of 2010. The company sold 3,31,967 units in the motorcycle segment compared to 2,65,036 units sold in November 2010. Bajaj Auto, which is one of India's leading automobile manufacturers, has reported a growth of 6.4% on a year-on-year basis in the second quarter of the year. The net profit stood at Rs 726 crore compared to Rs 682 in the same period previous year. Mumbai, Sep 2 : Helped by a healthy increase in exports, two-wheeler and commercial vehicle major Bajaj Auto Friday said it had logged a 16 percent rise in total sales in August at 382,739 units -- its highest ever in a single month. Vehicle exports rose 40 percent in the month under review at 138,225 units. The company had sold 329,364 vehicles in August 2010. Bajaj Auto is having a good time these days, as it is flowing in profits. The second-largest two-wheeler maker has reported 14% rise in their sales, in the month of July. When compared to last July’s data, then, this year’s total sale was of 363,712 units, than 318,415 units of last year. Its export has also risen in July by 35%, amounting to 143,996 units from 106,794 units in the same month of last year. It has also registered 18% growth in the sale of commercial vehicles. Motorcycle sales grew 16 percent to 963,051 units, while the company sold 30 percent more commercial vehicles at 129,764 units, according to a regulatory statement filed by Bajaj Auto. On Thursday, Bajaj Auto declared a 20.48% or 711.06 crores (7.11 billion rupees or $160.1 million) leap in its net profits for the first quarter ending June 30 against net profit of 590.15 crores which was posted by the company for same quarter last year. According to the average of estimates, the market was expecting 7.52 billion rupees profit for the company. Bajaj Auto traded down 2.31 per cent from its previous close on the BSE at Rs 1,415.60 per share at noon today. New Delhi, July 4 : Two and three-wheeler major Bajaj Auto Monday reported an 18 percent increase in its total sales at 10,92,815 units for the quarter ended June 30 as against 9,28,336 units during the like period of the previous financial year, recording its highest quarterly sales ever. The total sales also included 4,27,364 units of exports, the company said in a statement. Motorcycle sales grew by 16 percent to 9,63,051 units, while commercial vehicle sales rose by 30 percent to 1,29,764 units during the quarter under review. The growth of the Indian auto market has attracted the attention of a number of foreign owned auto manufacturers and also given prominence to a number of indigenous firms. This attention is expected only to grow as India’s automobile market is set to sell over six million vehicles annually by the year 2020. In order to find their place in this growing market, companies like Bajaj Auto, Renault India, and Nissan are looking to develop the right products at the right price for Indian consumers. New Delhi, June 2 : Two-wheeler major Bajaj Auto Thursday reported its highest sales for May by clocking a 20 percent growth at 358,849 units against 299,442 units in the corresponding period of the previous year. Segment-wise, the company's motorcycle sales in May grew by 18 percent at 317,989 units against the 269,488 units sold in the corresponding month of last year. Major growth was also reported in the commercial vehicle segment, whose sales grew by 36 percent to 40,860 units in the month under review as against 29,954 units in May, 2010. Company belongs to Bajaj group, which is amongst the top 10 business houses in India. Group has presence over a wide range of industries, spanning automobiles, home appliances, lighting, iron and steel, insurance, travel and finance. Group’s flagship company, Bajaj Auto, is ranked as the world’s fourth largest two and three wheeler manufacturer and the Bajaj brand is well known in over a dozen countries in Europe, Latin America, the US and Asia. Company was incorporated on the 29th of November in the name of "Bachraj Trading Corporation, Ltd on 1945. On 24th August 1960 the name of the company changed to Bajaj Auto Ltd.
Mumbai, May 18 : Boosted by an exceptional gain of Rs. 827 crore, Bajaj Auto Wednesday reported an increase of 163 percent in its net profit for the fourth quarter of last fiscal year at Rs. 1,400 crore. Bajaj Auto in the like period of 2009-10 had reported a net profit of Rs. 532 crore. "Sales tax deferral incentive/loan, to the extent eligible under Maharashtra Value Added Tax Rules, has been prepaid at a discounted value of Rs. 368 crore, thereby resulting in a surplus of Rs. 827 crore," the company said in a regulatory filing. Aditya Birla Money has maintained 'buy' rating on Bajaj Auto Limited stock with targets of Rs 1482/1500. The stock of the company, on April 13, ended at Rs 1397.25 on the Bombay Stock Exchange (BSE). The share price has seen a 52-week high of Rs 1664.50 and a low of Rs 1001 on BSE. Current EPS & P/E ratio stood at 86.91 and 16.09 respectively. New Delhi, April 4 : Two and three-wheeler maker Bajaj Auto Monday reported 34 percent rise in its sales at 38,23,951 units in fiscal 2010-11 against 28,52,580 during the previous year. The sales include 12,03,718 units of exports, the company said in a statement. While the motorcycle sales grew 35 percent at 33,87,040 units, the commercial vehicles sales increased 28 percent at 436,884 units sold during the fiscal 2010-11 as against 340,937 during the previous fiscal. Technical analyst Anita Gandhi of Arihant Capital Markets is bullish on Bajaj Auto Limited and has maintained 'buy' rating on the stock with a target of Rs 1630. The analyst also said that the said target can be achieved in a period of 12 months. Today, the stock of the company opened at Rs 1408 on the Bombay Stock Exchange (BSE). The share price has seen a 52-week high of Rs 1664.50 and a low of Rs 989 on BSE. Current EPS & P/E ratio stood at 86.91 and 16.26 respectively. With the success of Pulsar135 and Discover twins (100cc and 150cc), Bajaj Auto's brand-centric strategy has been validated. The high-margin brands, Pulsar and Discover, now account for 70% of the company's motorcycle sales. In addition, continued demand for three-wheelers and robust exports would help Bajaj Auto achieve volume growth of 37.8% and 13.8% in FY11E and FY12E respectively. We expect profitability to be maintained at current levels of 20%. 1) Despite increasing competition, we expect Bajaj Auto to maintain its market share with domestic volume growth of 14%, in line with the industry. Technical analyst Salil Sharma of Kapoor Sharma & Company maintained 'buy' rating on Bajaj Auto Limited stock with a target of Rs 1269. According to analyst, the stock canbe bought with a stop loss of Rs 1236. The stock of the company, on February 01, closed at Rs 1246.25 on the Bombay Stock Exchange (BSE). The share price has seen a 52-week high of Rs 1664.20 and a low of Rs 834.42 on BSE. Current EPS & P/E ratio stood at 86.91 and 14.20 respectively. Technical analyst Salil Sharma maintained 'buy' rating on Bajaj Auto Limited stock with a target of Rs 1345. According to analyst, the stock can be purchased with a stop loss of Rs 1295. The stock of the company, on January 19, closed at Rs 1319.85 on the Bombay Stock Exchange (BSE). The share price has seen a 52-week high of Rs 1664.50 and a low of Rs 830 on BSE. Current EPS & P/E ratio stood at 81.86 and 15.83 respectively. Bajaj Auto recorded a 40% increase in its net profit during the third quarter, which ended on December 2010.